Corporate bonds are debt securities. Bond holders are loaning money to a company (usually for capital investment) for a specific period of time and for a fixed annual interest rate. People invest in corporate bonds because they offer higher returns than other interest bearing securities such as government bonds or CDs. Purchasing corporate bonds is easy. What makes this investment complicated is that corporate bonds are traded like stocks. Their price varies and they carry some risk. The prudent investor needs to have an understanding of the workings of the bond market in order to know how to invest in corporate bonds. Understand the relationship between price, coupon rate, yield, and interest rates. As corporate bonds are traded, their prices rise and fall depending on market forces, particularly interest rate changes. The coupon rate the bond pays is a fixed sum. If interest rates rise, the bond’s coupon rate becomes a less attractive return, so the price of the bond falls until the effective rate of interest (called the yield) is in line with the higher prevailing interest rates. For example, if a $1,000 bond pays a $100 coupon rate (10 percent) and the price falls to $800, the yield is then $100 divided by $800, or 12.5 percent. If interest rates fall, the reverse happens. Bond prices go up and the yield drops. Decide if you want to invest in corporate bonds through a bond mutual fund or by purchasing individual bonds. A bond fund is much like any other mutual fund. It holds multiple bond issues, so you have shares in a diversified (and so lower risk) portfolio of professionally managed securities. The disadvantage is that the mutual fund takes part of the yield to cover their expenses and profit margin. Therefore, you have a lower return than if you select and invest in corporate bonds yourself. Evaluate a bond fund carefully before you invest if you chose this method of investing. Read the fund prospectus carefully and pay attention to any changes in management or terms that might affect future performance. Check the fund’s performance over the last 3-5 years compared to similar funds. Look at the fund’s expense ratio. This is the percentage of the fund’s assets that is spent for management each year. The lower the expense ratio, the more of the fund’s earnings remain to provide income for you. Learn how to determine the creditworthiness of a company if you choose to purchase corporate bonds individually. Bonds are ranked by ratings companies like Dun & Bradstreet and Moody’s. An AAA bond is the “blue chip” of bonds with the least risk. The lower a bond’s ranking, the greater the risk when you lend a company money by buying their bonds (in short, the bond rating works much like your credit score). Bonds rated B or lower are termed “junk bonds.” Investors willing to take a greater risk buy these bonds because they have higher yields to offset the increased risk. Regardless of your investment strategy, always check a bond’s rating history before investing. Open a cash account with a broker to invest in corporate bonds. This is the basic kind of brokerage account and is almost as easy to open as a checking account although brokers usually require a $1000 minimum deposit. In addition to personal information and a valid state-issued ID, you will need to disclose your net worth, income, and place of employment. If you are a novice investor you may prefer a full service brokerage firm. These are more expensive, but provide services discount brokers do not like reports on individual corporations and funds or financial advice. 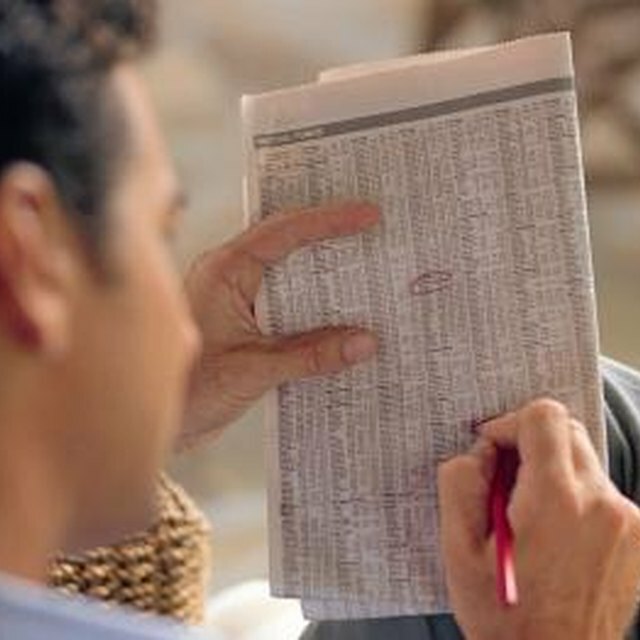 If you are confident of your ability to do your own research, a discount broker will save you money. Once your account is open, all you do is place your order to begin to invest in corporate bonds. Although some bonds are listed on exchanges such as the New York Stock Exchange and American Stock Exchange, most are not traded on a centralized exchange. Brokers and bond dealers trade bonds directly by phone or electronic funds transfer in the “over-the-counter” market. In theory you can contact a company directly to invest in corporate bonds. In practice new issues of bonds are usually pre-sold to institutional and large investors, although occasionally a company will offer new (“primary market”) bonds to existing stockholders. When individuals invest in corporate bonds they do so through the “secondary market” where previously issued bonds are bought and sold. Investments in bonds, like stocks, are not insured by the federal government. You might lose money instead of make money. Evaluate the risk and your tolerance for it carefully before investing. Although some bonds are listed on exchanges such as the New York Stock Exchange and American Stock Exchange, most are not traded on a centralized exchange. Brokers and bond dealers trade bonds directly by phone or electronic funds transfer in the "over-the-counter" market. In theory you can contact a company directly to invest in corporate bonds. In practice new issues of bonds are usually pre-sold to institutional and large investors, although occasionally a company will offer new ("primary market") bonds to existing stockholders. When individuals invest in corporate bonds they do so through the "secondary market" where previously issued bonds are bought and sold.